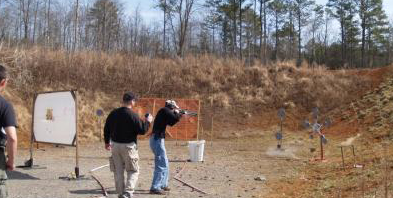 3Gun is one of today's fastest growing shooting sports. A modern day action filled match that is a drag race against the clock. 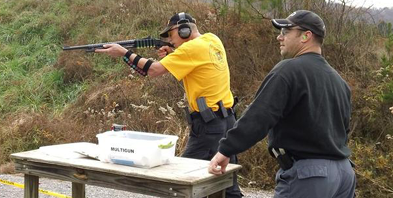 Utilizing pistol, rifle, and shotgun competitors maneuver through fun and challenging stages requiring speed and accuracy. Target engagement can be clay pigeons only feet away to steel gongs 100+ yards. At ORSA our club is affiliated with the 3-Gun Nation organization and holds a monthly match the fourth Sunday of the month. Registration starts 9am at the Action Pistol Range pavilion and first shots at 10am. Match fees are $10 for ORSA members, $15 for nonmembers, and junior shooters (16 and under) shoot for free. For the latest up to date information check out our Facebook page ORSA 3 GUN where you will find the Practiscore preregistration link and up to date information pertaining to the match. 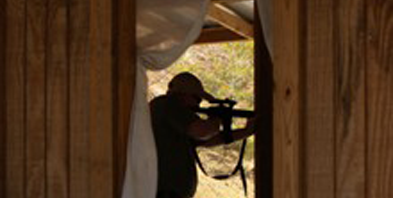 We shoot year round, rain or shine, so bring your guns and gear and have a blast! New shooters and spectators are always welcome, don't forget to bring your eye and ear protection. Safety First. The emphasis of action pistol competitions is SAFETY. All action pistol matches are run under a range officer. Participants will acquire (from holster, from a drawer, from a table top, etc) and maneuver with the pistol while maintaining a safe muzzle direction. Safety is first, accuracy is second, speed is a distant third. New shooters are always welcome and are given special attention by the range officers to assist them in learning the rules of the sport. Come out and join in the fun.